The SS1HB module is idea for driving electric motors and actuators up to 5A/12VDC continuous duty. 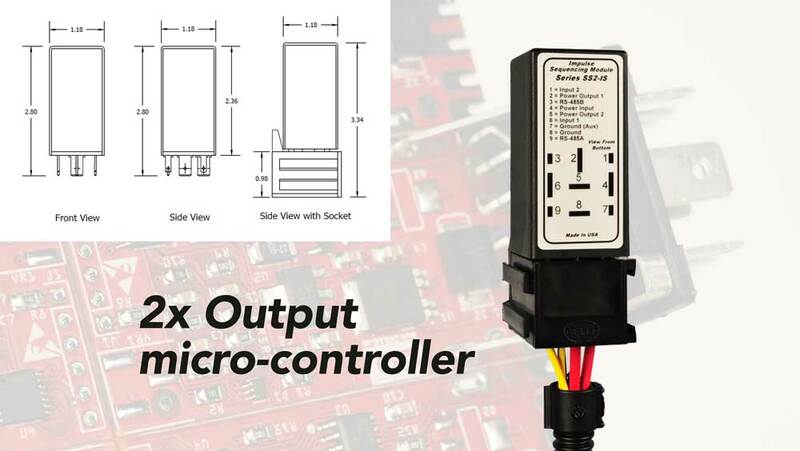 This compact module is housed inside of an automotive style relay enclosure and can be used in heavy-duty industrial applications such as: linear actuator control, proportional valve Control, DC electric motor control or as a Modbus RS-485 H-Bridge slave device. The SSHB software can be customized by our engineering team with soft-start-stop, custom stepper function or even programmed with an automatic repeat timing function. 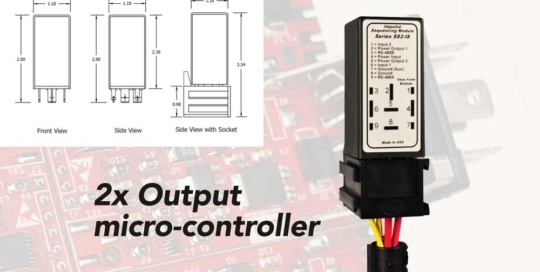 SSHB modules includes 2x configurable inputs for adding addition functionality, and an optional Modbus RS-485 serial communication connections. 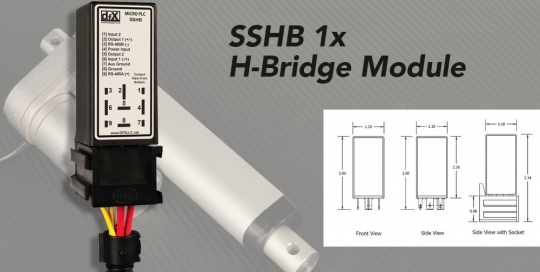 The SSHB is an extremely versatile product and uses the same PIC chip micro-controller used in the DXF’s SS1 and SS2 product offering. 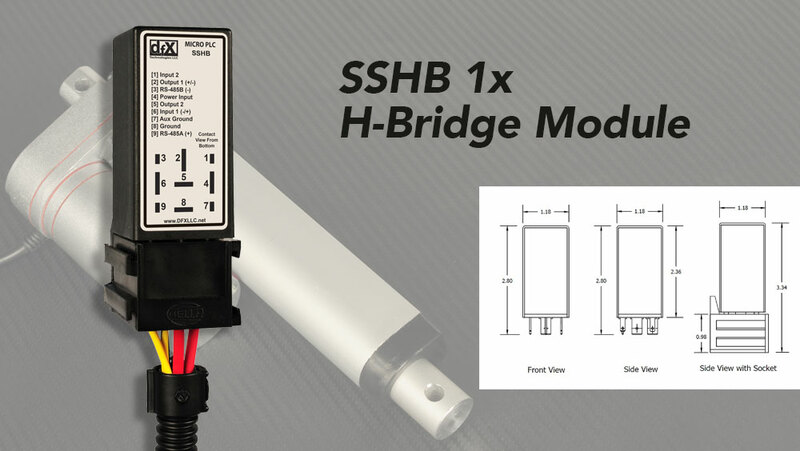 Contact us today with your custom H-Bridge control requirement. The SS1 I/O modules are ideal for applications requiring one output and up to two independently configured inputs. The SS1’s output can be configured with either a high-side signal, low-side signal or with an optional PWM output signal. The SS1 modular software design allows us to economically create custom software programs even for low volume prototypes. 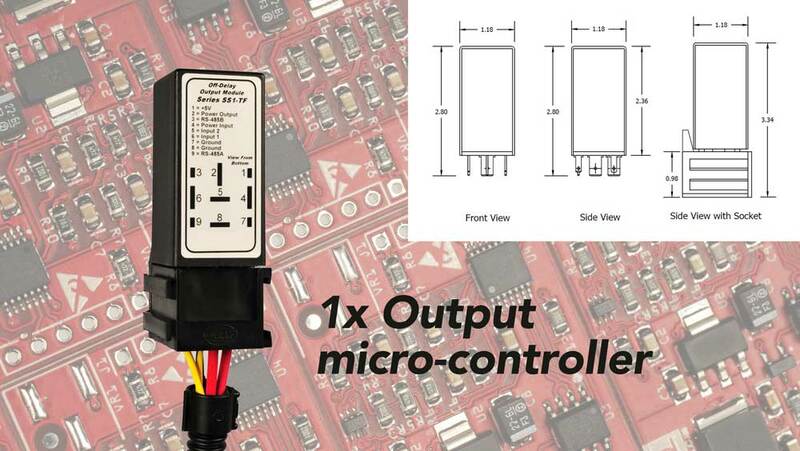 These compact modules are typically used for simple I/O requirements such as: On-Delay Timer, Off-Delay Timer, Repeat Cycle Timer / Flashers, Interval Delay Timer, After-run Timer, Latching / Bistable Relay, Battery Voltage Sensing Relay, Current Sensing Relay or as a high power Modbus Relay. The SS2 I/O module hardware is designed for applications requiring two high-side outputs such as: Load Sharing Relay, Alternating Output Relay, Impulse Sequencing Relay. Outputs signals are independently configured and can often eliminate a secondary relay by combining multi-functionality into one module. The SS2 hardware platform is only available as a custom solution and can be customized by our engineering team. Please contact DFX Technologies, LLC sales department with your custom requirements.